The IDF is relying more on intelligence and less on troops in Judea and Samaria, military sources say, hoping Arabs won’t escalate the Intifada. The IDF is relying more on intelligence and less on troops in Judea and Samaria, military sources say, hoping that Arabs won’t escalate the Intifada. "There has been a reduction in troop levels which are now at their lowest levels since the start of the first intifada" more than 20 years ago, according to an unnamed military source who spoke to the French news agency AFP. The reliance on intelligence surveillance accounts for several recent captures of Hamas terrorists by the IDF and by the Palestinian Authority in Judea and Samaria. Israel’s success in infiltrating the terrorist infrastructure is more pronounced in the Gaza region where Israel expelled 9,000 civilians, turned the ground over to Hamas and withdrew all military presence in 2005. Hamas recently rounded up hundreds of local Arabs, including doctors and other professionals, who were suspected of cooperating with Israeli authorities. Hamas has routinely executed Arabs who provide Israel with information on the terrorist infrastructure and has tortured many others. The newspaper also quoted local Arabs as saying that Israel’s success at gleaning intelligence is dividing society and even families, where people are afraid to talk to each other. A Hamas Interior Ministry official noted one case where a wife told Hamas that her husband was working for Israel. The Palestinian Authority in Ramallah, headed by Fatah leader Mahmoud Abbas also has been charged by human rights activists with torturing Hamas prisoners as well as executing Arabs who sold land to Jews. 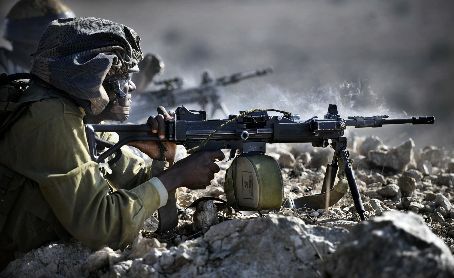 Military sources have said over the past year that cooperation between the PA armed forces and the IDF is increasing. A similar period existed in 1998, when the United States and Israeli officials thought that then-chairman Yasser Arafat was on the verge of signing a peace treaty with Israel. However, with the outbreak of the 2000 Oslo War, also known as the Second Intifada, Israel was caught unprepared. Lack of proper intelligence left Israelis subject to suicide bombings every week and sometime several times a week. The United States has praised the PA forces it has trained for cracking down on terrorists, but Israelis military officials have noted that without an IDF presence in Judea and Samaria, the PA would not succeed. Abbas has demanded that Israel withdraw all forces from all PA Arab cities. Defense Minister Ehud Barak has taken forces out of major cities, but the IDF conducts occasional sweeps to capture senior terrorists. Despite mainstream media reports of a virtual end to violence in Judea and Samaria, Jews are subject to almost daily firebomb and rock attacks, intended to caused fatal accidents. Four Jews were ambushed several weeks ago by terrorists who used a route that Barak had opened as part of government “concessions” to boost the stature of Abbas and encourage him to return to direct talks with Israel over the establishment of the Palestinian Authority as a new country. Abbas did not condemn the murders and PA officials have increasingly praised and honored terrorists.